Stunning burlesque costume is made with a heavy red satin fabric that is boned with underwire push up cups. Steel busk front and lace up back with modesty panel under the laces. The bodice is accented with black lace, black sequins, and fringe. 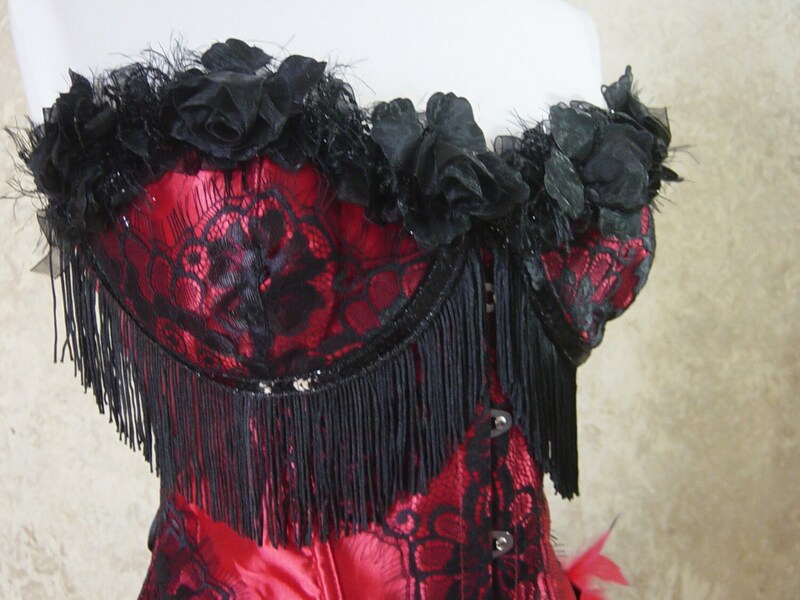 The cups are trimmed in black roses with sequin trim and fringe detailing. The train is made with heavy weight black red feathers with black tips. Measurements are below, if you are in the upper end of cup measurement go up a size.